About 89 per cent people in Delhi feel sickness or discomfort due to the bad air quality and most of the people believe vehicles and felling of trees are the major causes behind pollution, according to a new study. 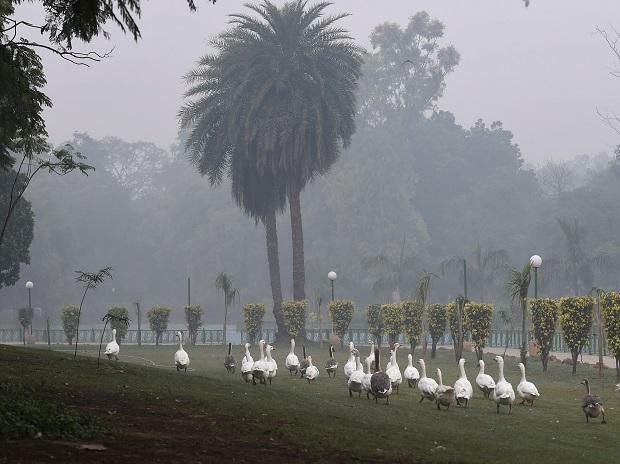 The study titled “Perception Study on Air Quality” by the ASAR Social Impact Advisors, which works on social and environmental issues, said the awareness level was higher in the metros with the Delhi and National Capital Region (NCR) respondents showing the maximum awareness of all three terms — Air Quality Index, Particulate Matter 2.5 and Particulate Matter 10. As many as 5,000 people were interviewed across different demographics in 17 cities for the study. About 89 per cent people in Delhi felt sickness or discomfort due to the bad air quality and most of them believed that motor vehicles and felling of trees were the major causes behind pollution, the study said. The top four causes of the deteriorating air quality were identified to be motor vehicles (74 per cent), industrial units (58 per cent), tree cutting (56.9 per cent) and construction activities (48.2 per cent). The study covers cities with a highly-polluted air — Delhi-NCR, Kolkata, Patna, Lucknow, Varanasi, Amritsar, Singrauli, Dhanbad, Raipur, Korba, Chandrapur, Angul, Nagpur and cities becoming rapidly polluted — Bengaluru, Pune, Mumbai and Chennai. The top two sources of AQI information for those who were aware and who understood AQI were newspapers and mobile apps, the study said. A majority of the respondents (33.4 per cent) said they accessed air quality information “sometimes” and 12 per cent said “never”. The survey also showed that the age group which “always” sought AQ information was 18-25 years. People who feel the air quality has become “much worse” belong to Angul, Delhi-NCR, Lucknow and Patna and the people of Chennai, Raipur, Mumbai, Korba and Pune feel it has become a “little worse”, according to the study. The respondents also believe that the top three environmental issues that affect personal health are air pollution (maximum at 46.4 per cent), drinking polluted water (19.5 per cent) and global warming and climate change (12.2 per cent). “This perception needs to be addressed. It is only when people make this a priority issue will the politicians wake up and take action,” Debi Goenka, member of the Conservation Action Trust, said. Ashutosh Dikshit, CEO of URJA, the apex body of Delhi’s residential welfare associations (RWAs), said, “This exhaustive survey reaffirms the fact that people are aware of air pollution. However, looking at the violations on Diwali night in most parts of north India, I feel that people do not fully believe in the stated causes of air pollution and its proportionate impact. They also do not correlate air pollution as a significant contributor to their existing or future health condition. “There is a desperate need for a national-level campaign, aimed at addressing belief systems and changing behaviour,” he said.